Dogs Corner is a labour of love many years in the making. Our dogs have been a constant source of joy and inspiration for our entire lives and we have long dreamt of running. It is adjustable at the snout with velcro and strap with buckle. We offer all the pet lovers with the most stunning Pet Accessories like stylish dog muzzles, dog sweaters, dog coats, dog and cat collars. 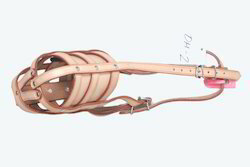 We are an eminent firm for offering a quality assured array of Dog PVC Muzzle to our valued clients. We are manufacturer exporter of iron muzzle for dogs. Precision designed, these are widely used in dog shows as well as other public gatherings so as to provide protection against dog snapping. Their exclusive finish standards also make these muzzles one of the most demanded in both national and international markets. 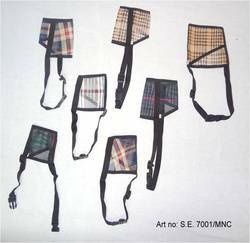 Keeping track with the latest market development we are actively engaged in offering supreme quality Dog Muzzles. - 1.Brand new and high quality. High quality dog mouth muzzle 1- 7 no.